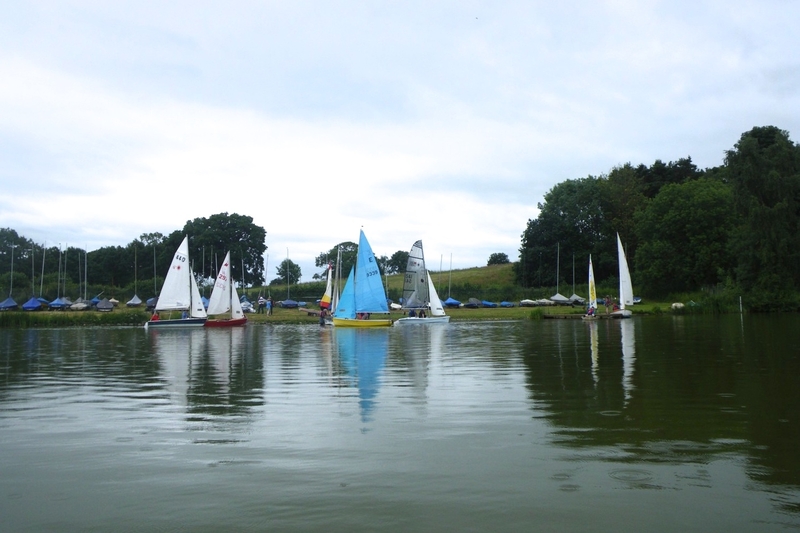 We had a great turnout for yesterday’s Regatta and hopefully everyone enjoyed themselves. 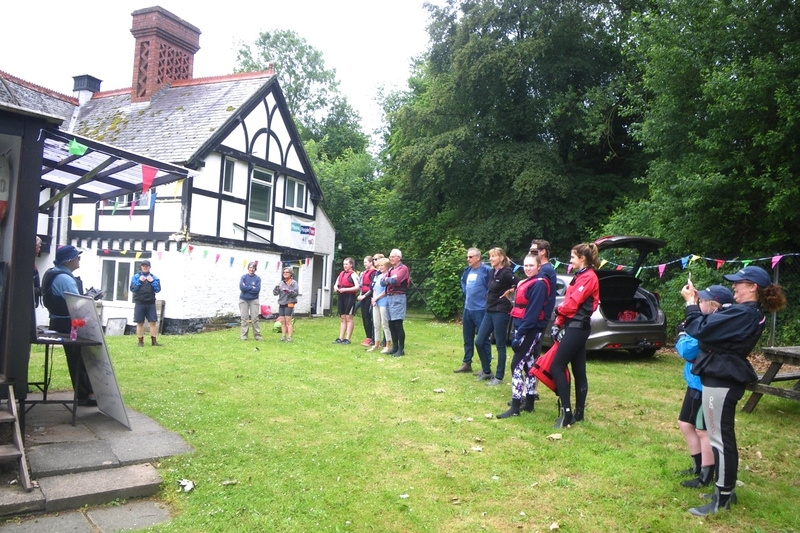 Our Captain, Helen Smith, had decorated the clubhouse (and her boat) with bunting to set the scene. 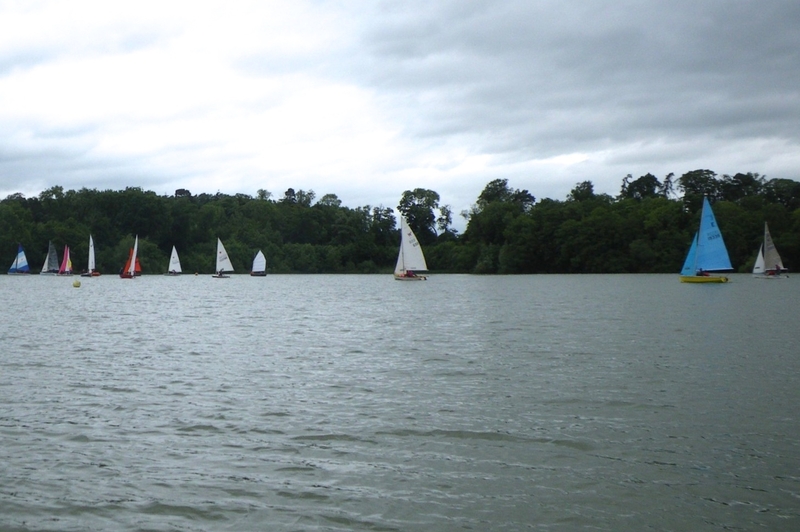 The first race, collecting letters off the buoys for an anagram, had fewer participants but numbers swelled and we had eleven boats for the second race, collecting corks and bottles. 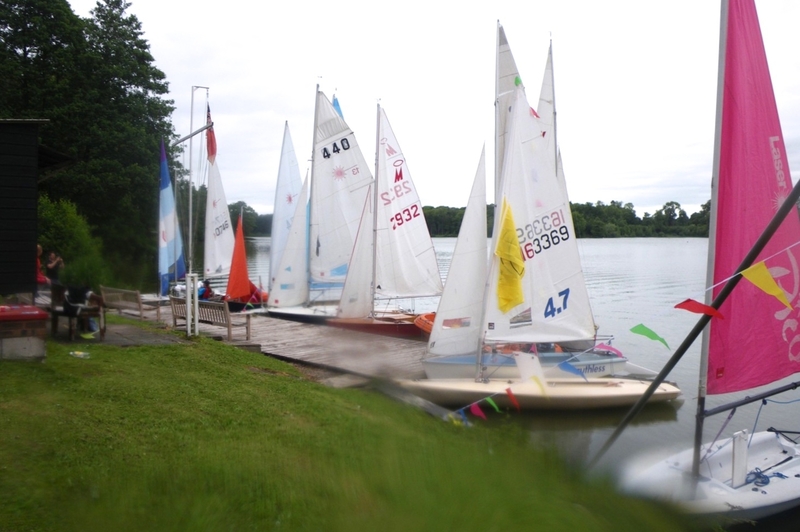 Water was squirted and thrown and there were lots of near misses and in the end Ellen Dimelow and Pete Williams in their Miracle, Elmo, came out on top for those two fun races – good sailing or expert cheating?, I’ll leave that up to you to decide! Over 50 members, friends and family then enjoyed a welcome Pimm’s with a hot pulled pork roll and delicious puddings thanks to Shirley Brain, Nicola Rouse, Sarah Hooper, Meryl Batho and Ellen Dimelow and other helpers. 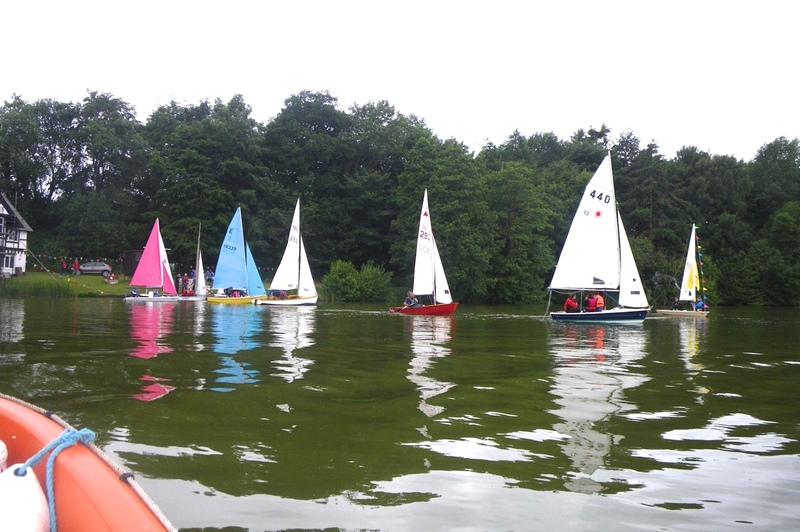 After lunch we were up to 13 boats of lots of different classes and the OOD’s decided a pursuit race required too much Brain! 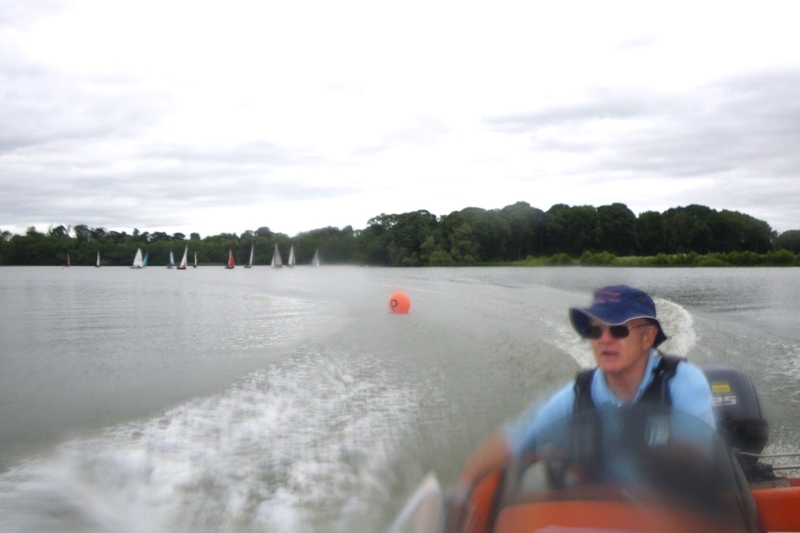 power so we went for a straight handicap race in what had increased to lively conditions. The start was delayed by a few capsizes but in the end nine boats finished the race with Tom Harris in his Laser taking home the beer. Thank you to everyone who attended and the biggest thanks of all to Mike Brain who masterminded the day.